Pieced together for Record Store Day, this collection of newly commissioned and unreleased tracks gives an eight-track round up of the state of Three Lobed recordings, and does so with more than just a pinch of style. We’ve got Sir Richard Bishop, Six Organs of Admittance, Steve Gunn, David Daniell, Lee Ranaldo, Danny Paul Grody, Alvarius B and William Tyler, and while there are only a mere eight tracks you’ll be pleased to know there’s absolutely no filler. 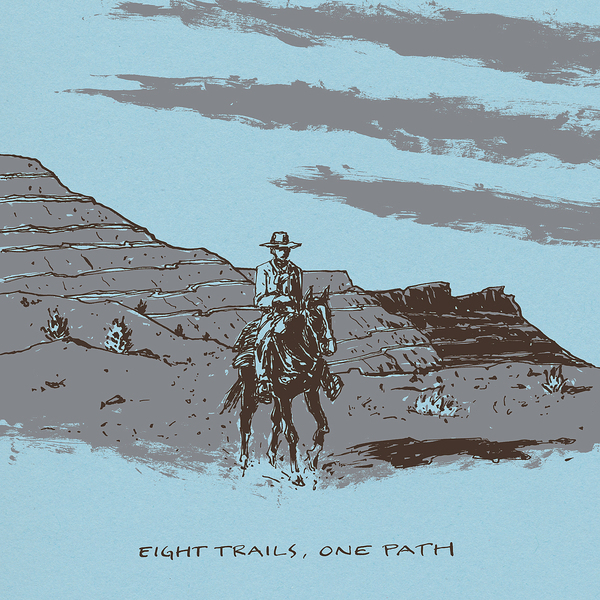 ‘Eight Trails, One Path’ feels almost like a statement from Three Lobed on where guitar music is in 2012, and each artist has done their damnedest to make sure that it’s in a pretty good place. My picks would have to be Danny Paul Grody’s gorgeous, meditative ‘Late November’ and Six Organs of Admittance’s hazy soundtrack-esque ‘Stranded on Io’, but seriously there’s not a dull moment on here – you know what to do.